The Standby Pump substitutes for either the process pump or the tower/evaporator pump on occasions when service and/or maintenance is required on these pumps. 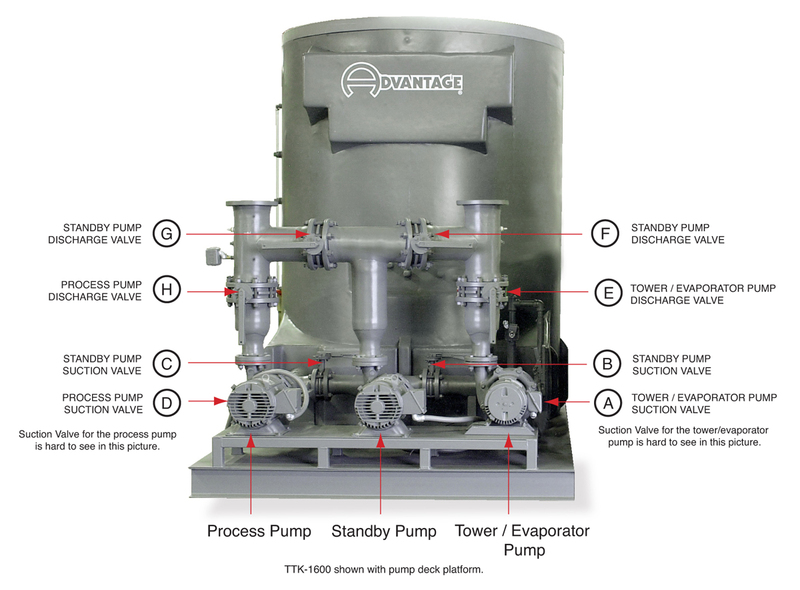 The standby pump is connected to the process and tower/evaporator pumps via the standby pump manifold. A series of suction and discharge valves control the flow of these pumps. Use this chart to correctly open/close the suction and discharge valves for standby pump operation. For more information about valve orientation for Chilled or Tower water systems, call the Advantage Sales Department at 317-887-0729. Would you like to Download FYI #242 to your browser?